The Ghana Health Service (GHS) has disclosed they will begin the implementation of logistics management system from this month to enable the retrieval of real-time information on the utilization of medical products such as vaccines and others. The digital system which has been named the Ghana Integrated Logistics Management Information System, is expected to give health directors at the regional headquarters and district levels the opportunity to monitor stock levels of medical products in order to enhance efficiency. 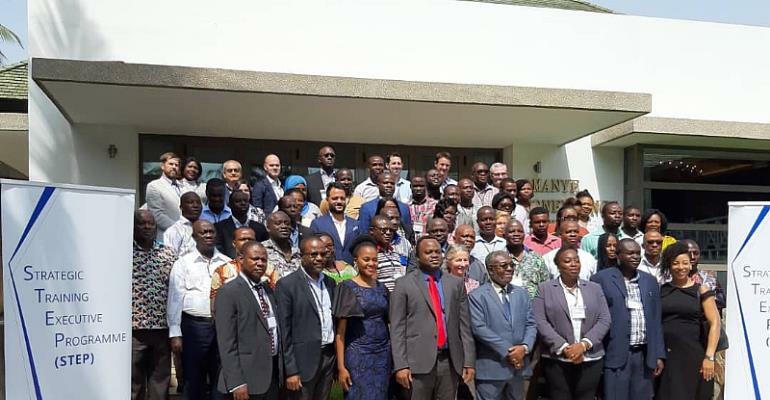 The news was revealed by the Director General of GHS, Dr. Anthony Nsiah Asare whiles speaking at the opening of the GAVI/UPS Strategic Training Executive Programme (STEP) for supply chain managers of the GHS in Accra earlier today, April 1, 2019. “Together with Global Fund, we have developed a software that managers can use to know where all the medical stock levels are, what facilities are running out of stock and when it was replenished”. “If you open your PC or laptop you will have access to stock levels, replenishment level, and how it is being used so that we don't get unnecessary stock-outs and drugs and medicines expiring in large quantities,” Dr. Anthony Nsiah Asare confirmed. He further shared that the system is valued by government and they are bent on seeing it become successful. According to him, even though finances for infrastructure development as well as human resources is very important when it comes to healthcare delivery, they also believe that adopting the new system is a necessity. Dr. Nsiah Asare also assured that the software has been installed and directors of the GHS are already undergoing training on how to use the system. He is confident it will be fully operationally in all hospitals a year from now. “By next year April, we hope to deploy it in every facility in this country from the CHPS to the teaching hospital levels,” he added. Magloire Achidi, consultant supply chain at GAVI, who spoke at the opening, said 'STEP' has become an essential component of GAVI's support to strengthen supply chain management in low income countries. He additionally pledged GAVI’s continued support to allow even more countries to benefit from improved management of health supply chains.